Since she became a full-time real estate professional in 1983, Adrienne has sold luxury waterfront properties, new construction, resale homes, vacation homes, second homes, manufactured homes, and land. 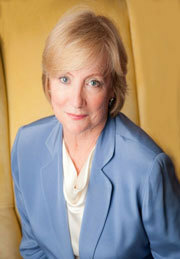 She specializes in residential sales of single family and attached homes. Born on the East Coast in New York City, where she has a New York Real Estate Broker’s License, Adrienne and her husband have since relocated to wonderful San Diego. She has had her California License since 2005. Their move to California was inspired by the draw of their daughters living here and starting their families. They now have three grandchildren who have become the joy of their lives. On any given day you might catch Adrienne and her husband at a Cathedral High School soccer game, lacrosse tournament, or tennis match. Their family has spread its roots in Carmel Valley. In her real estate career, Adrienne has achieved many awards for sales success including several designations of Salesperson of the Month and Top Producer. With the ever-changing laws and regulations, Adrienne continues her ongoing learning with educational real estate classes so she is able to inform her clients of issues that may affect them, while keeping herself current with the market. Her GRI (Graduate Realtor Institute) title is a highly recognized professional designation in residential sales. Adrienne gives her clients the highest ethical and business standards possible. You can trust her to do her best for you. Her love of the housing business and its ever-changing dynamics keeps her forever interested!